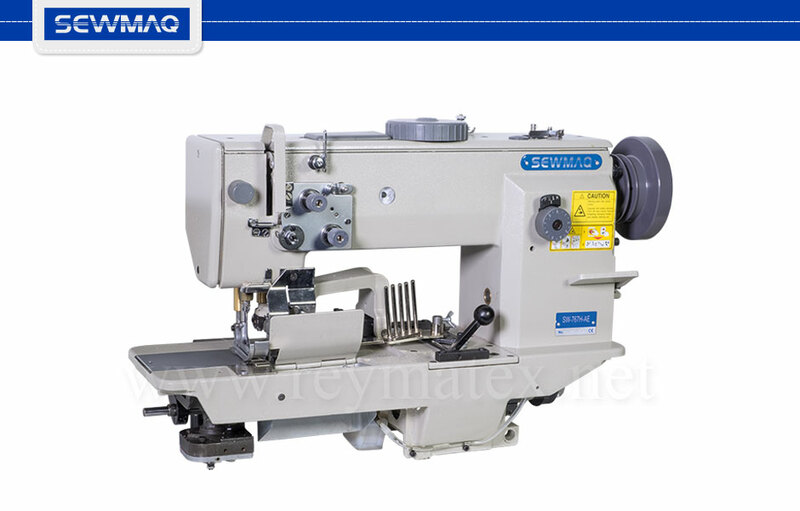 Single needle compound feed sewing machine equipped with side cutter and binding systems for quilts. Synchronized movement of side cutter and binding system. Includes pneumatic presser foot lifter. Dimensions of the hole for remaining cut fabric: 120×60 mm.